Liquid immersed transformers are described by characteristics such as standards, liquid preservation and rated apparent power. An example use may be within a high voltage distribution system. 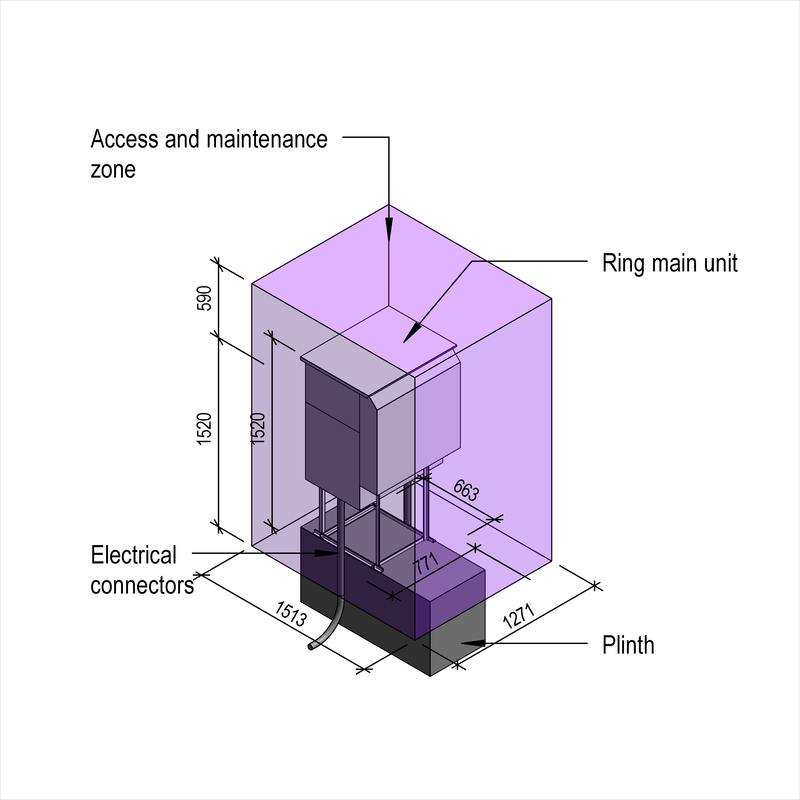 Complete this electronic spreadsheet to ensure that your High voltage liquid immersed transformers product information meets the requirements of Level 2 BIM. This is important as it will enable your customers to select, specify and use your products within the BIM environment. Once you have completed this template you can host it on your own website or distribute it to your customers. Please note that we do not host completed product data templates within the BIM Toolkit. The above illustrations are for High voltage ring main units from the NBS section High voltage switchgear and transformers. This is indicative of the LOD requirements for High voltage liquid immersed transformers. Manufacturer The Manufacturer of the High voltage liquid immersed transformers. Standards An example value being To the BS EN 60076 series. Third party certification An example value being To ENA TS 35-1. Liquid preservation An example value being Free breathing. Rated apparent power An example value being 100 kVA. Core material An example value being CRGO standard loss. Cooling arrangement - Internal dielectric cooling medium An example value being Mineral oil to BS 148 (O). Cooling arrangement - Circulation method for internal cooling medium An example value being Natural convection (N). Cooling arrangement - External cooling medium An example value being Air (A). Cooling arrangement - Circulation method for external cooling medium An example value being Natural convection (N). 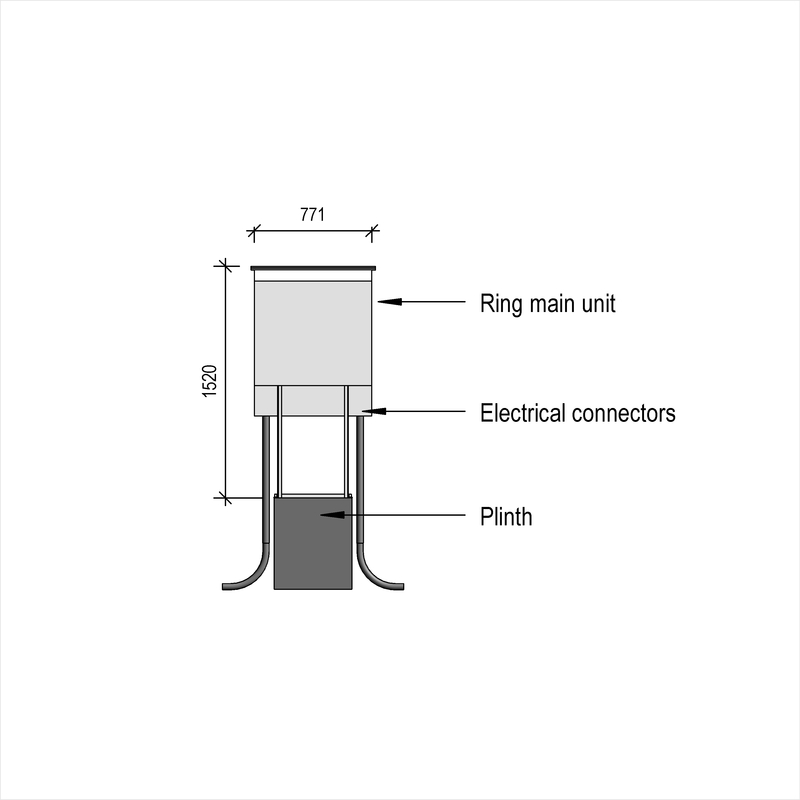 Highest voltage for equipment windings (Um) An example value being 3.6 kV. Rated frequency An example value being 50 Hz. Number of phases An example value being Three. Rated insulation levels - Rated short duration power frequency withstand voltage(Ud) An example value being 10 kV for 1 minute. Rated insulation levels - Rated lightning impulse withstand voltage (Up) An example value being 20 kV phase to phase, phase to earth. Rated primary voltage (Uprim) An example value being 11000 V.
Rated secondary voltage (Usec) An example value being 433 V at no-load. Primary voltage tappings - Tap change facility An example value being De-energized. Primary voltage tappings - Tapping range The Primary voltage tappings - Tapping range of the High voltage liquid immersed transformers. Primary voltage tappings - Number of steps The Primary voltage tappings - Number of steps of the High voltage liquid immersed transformers. Primary voltage tappings - Tap change operation An example value being Manual, externally mounted with position indicator and locking facility. Vector group An example value being To BS EN 60076-1, Dyn11. Sound pressure level (maximum) The Sound pressure level (maximum) of the High voltage liquid immersed transformers. 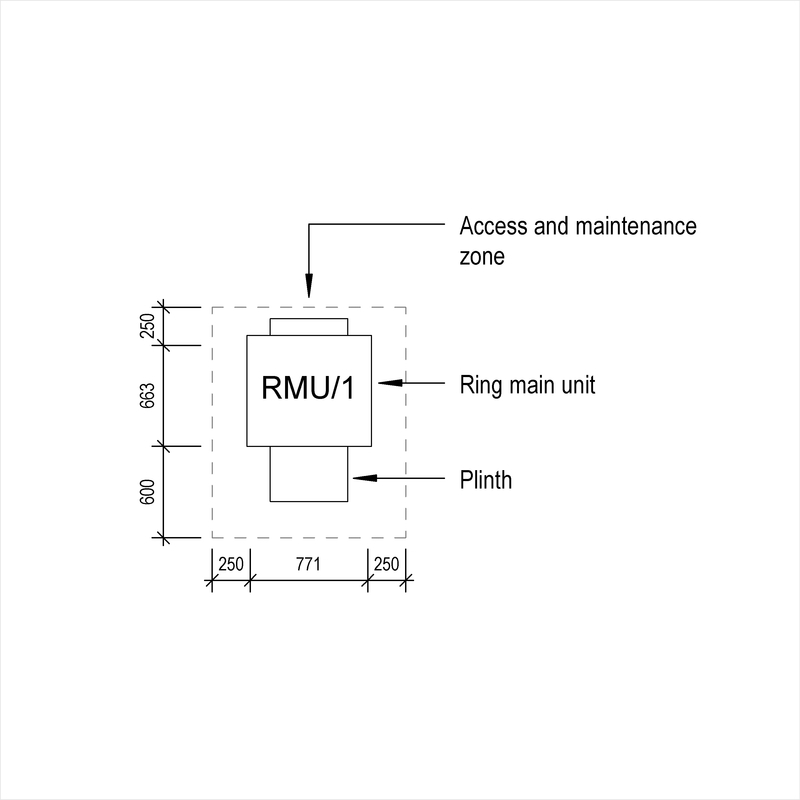 Indicators and alarms - Thermal protection An example value being Digital type winding temperature indicator with adjustable alarm and trip contacts. 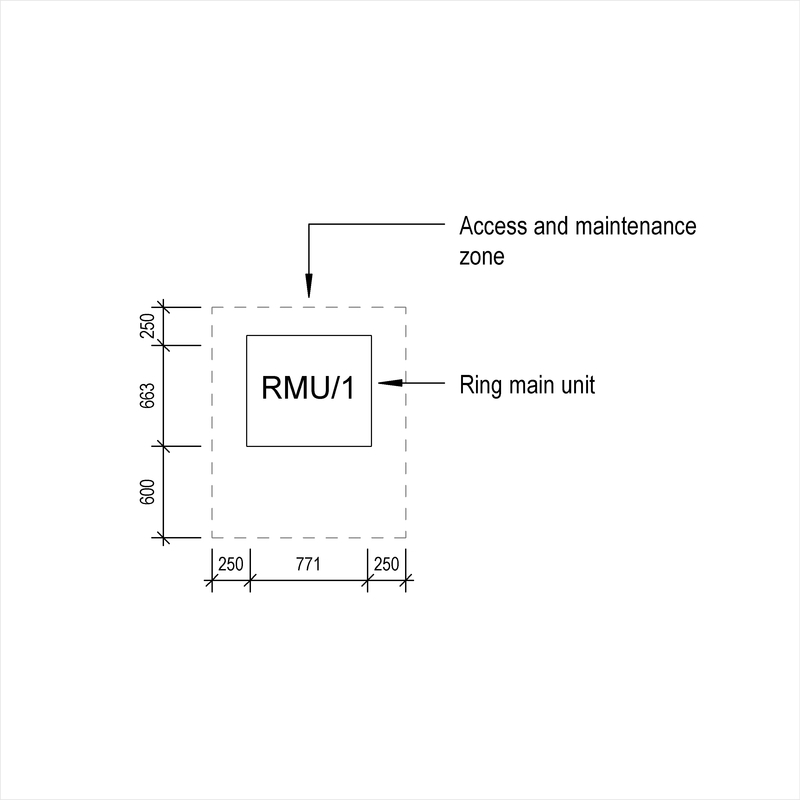 Indicators and alarms - Local audible alarm systems An example value being Minimum 65 dBA sounder with xenon flashing beacon. Pressure relief device An example value being With adjustable alarm and trip contacts. 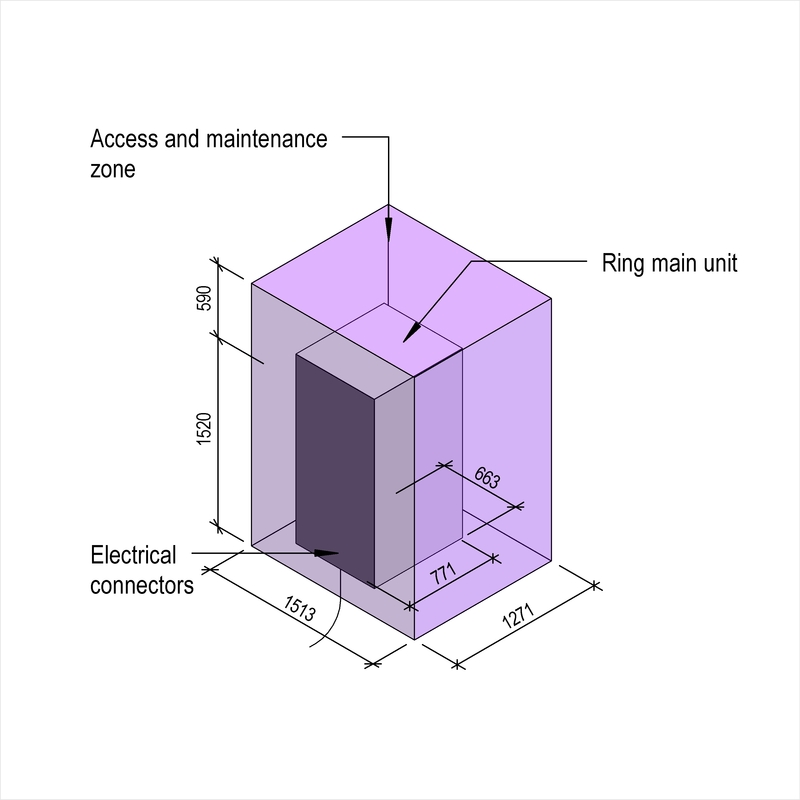 High voltage and low voltage cable terminations - Position An example value being On opposite sides. High voltage and low voltage cable terminations - Cable terminations The High voltage and low voltage cable terminations - Cable terminations of the High voltage liquid immersed transformers. High voltage connection arrangement - Cable entry An example value being Top. High voltage connection arrangement - Type of enclosure An example value being Filled type cable box to BS 2562. Low voltage connection arrangement - Cable entry An example value being Bottom. 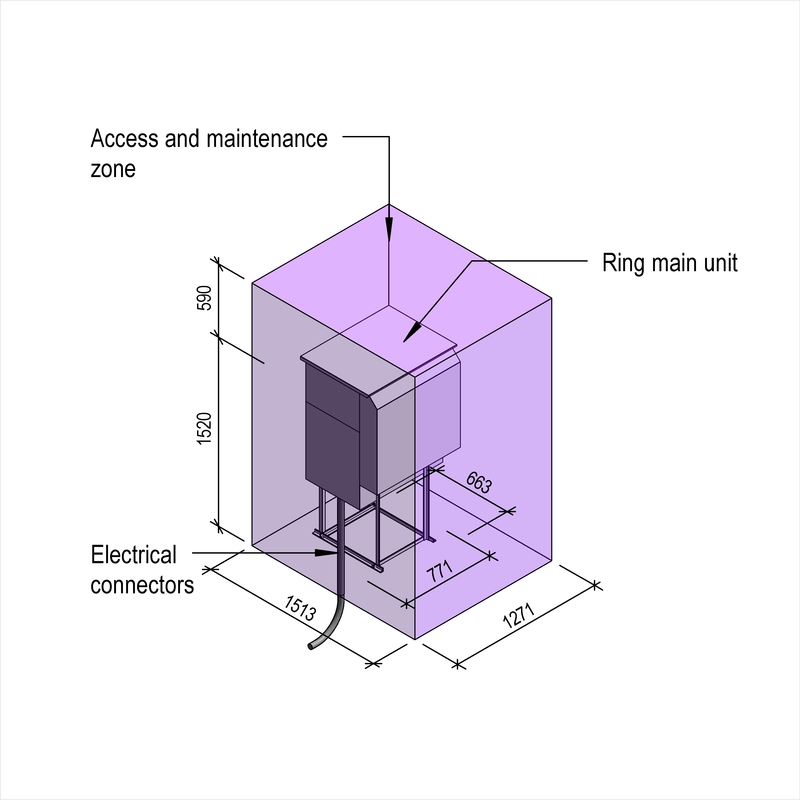 Low voltage connection arrangement - Type of enclosure An example value being Filled type cable box to BS 2562. 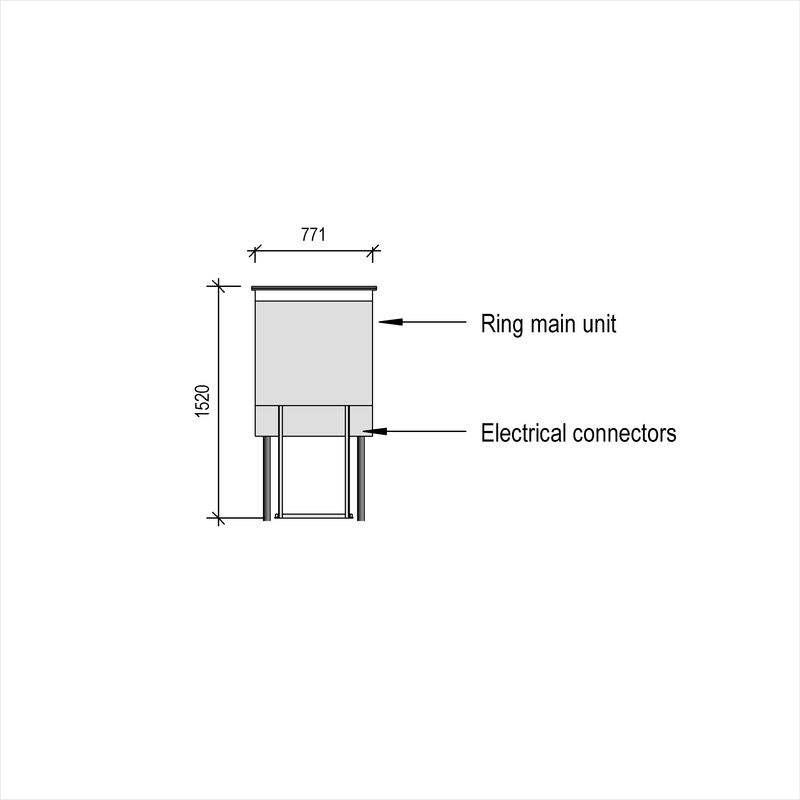 Accessories An example value being Earthing terminals.